Brass Necklaces There are 11 products. 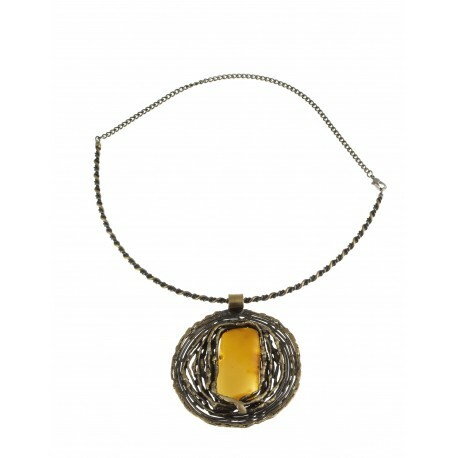 Unique necklaces decorated with brass ornaments and a clear or matte lemon, yellow colour glossy piece amber. 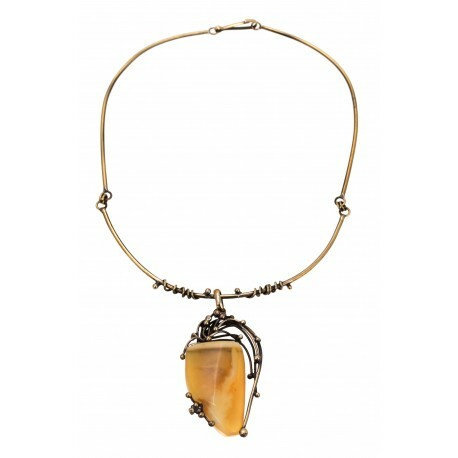 Polished or natural antique amber pieces with waves and remaining peel on its sides surrounded by tracery brass patterns. Brass necklace "A Fruit of the Wonders"
An impressive brass necklace is masterly made piece of work. 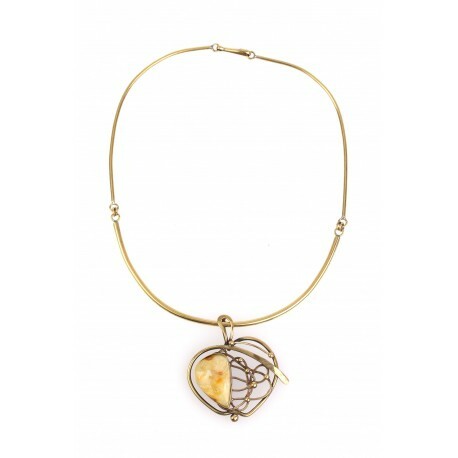 An apple form pendant has an artistic brass composition, which is supplemented by white and yellow shades' amber. 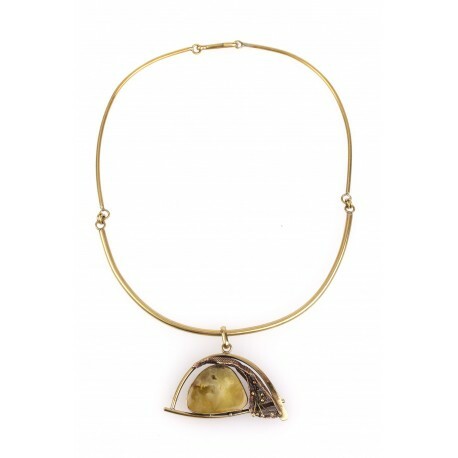 A brass necklace with a pendant. 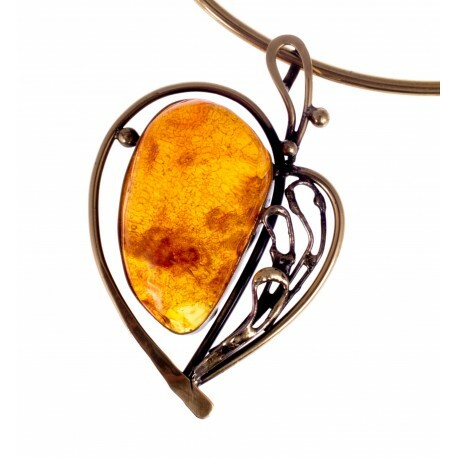 In the middle of this pendant there is combined yellow and white amber rounded with a beautiful composition of brass. 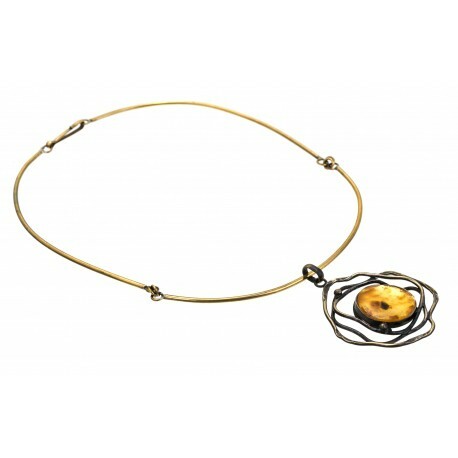 A brass necklace with a pendant. 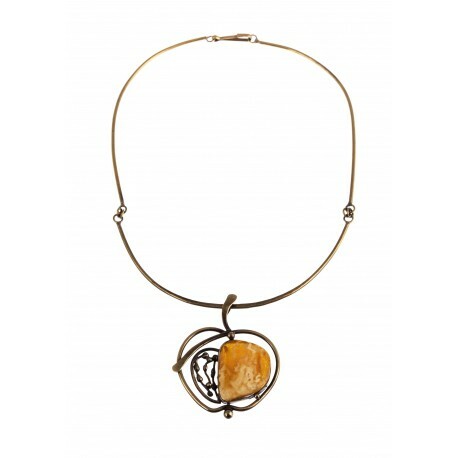 In the middle of this pendant there is the yellow amber rounded with a beautiful, handmade composition of brass. 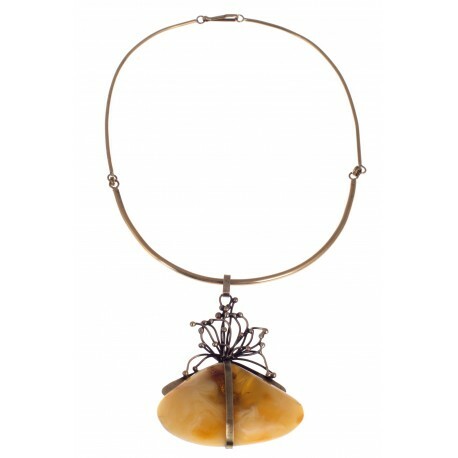 Brass necklace decorated with tracery ornaments and a clear brown amber. 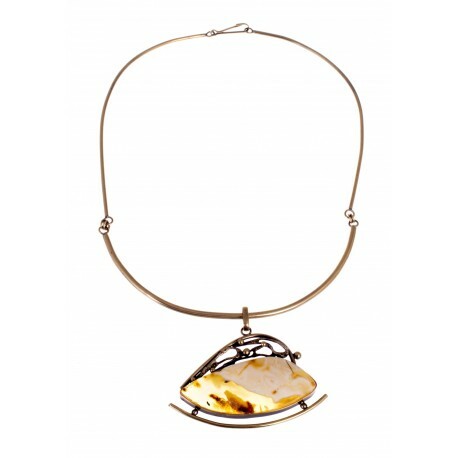 Brass necklace decorated with tracery ornaments and a clear lemon amber. 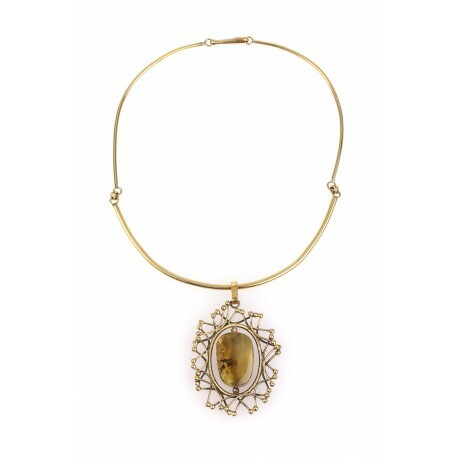 Brass necklace with transparent amber, delicately decorated with tracery ornaments.